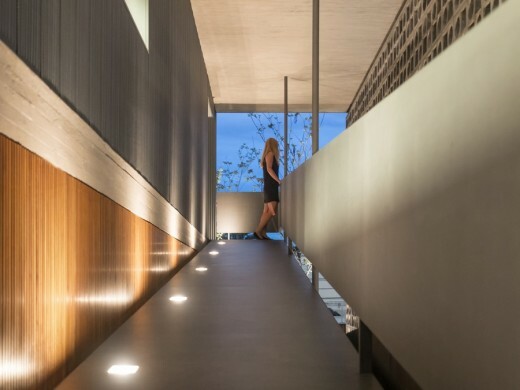 The arrival at House B+B – the access to the social area – is through an architectural trajectory, via an open ramp, located on the eastern side of the construction. 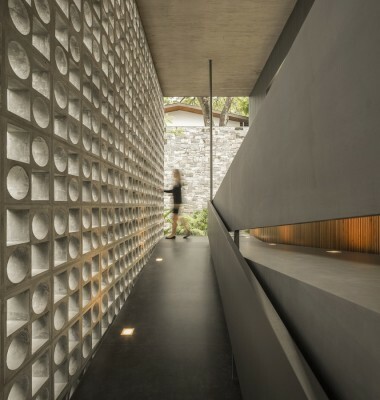 This space is protected by hollowed-out concrete elements to the side, which create surprising effects of light and end up functioning as protection from bad weather conditions. 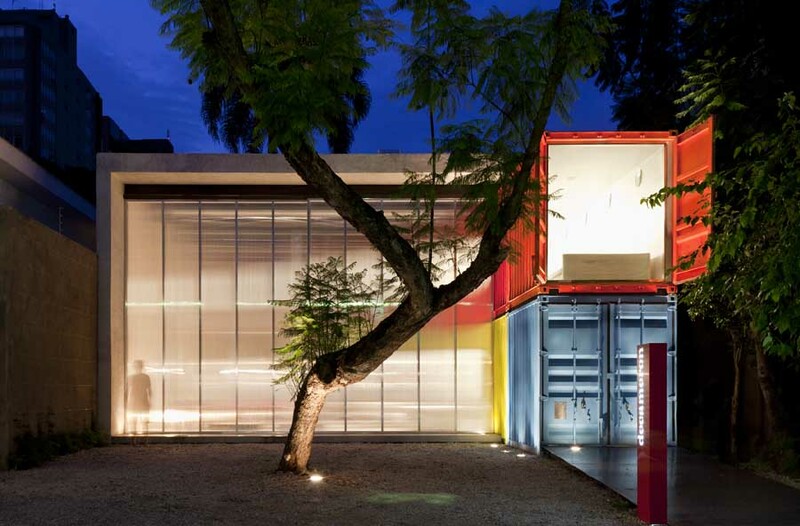 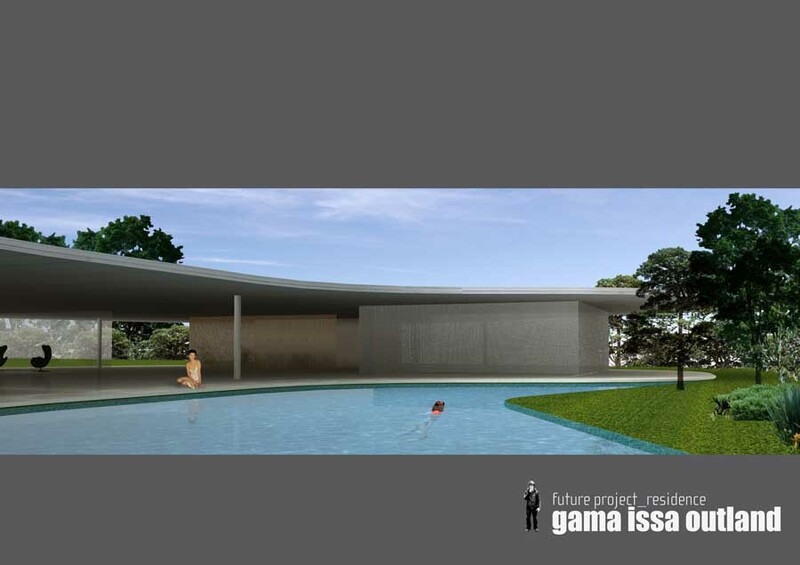 It is an interstitial space between the protected inside of the construction and the open garden. 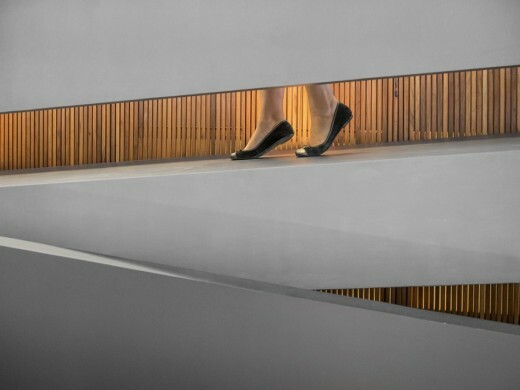 The ramp, long and smooth, extends the transition from interior to exterior creating the constant sensation of environment changing. 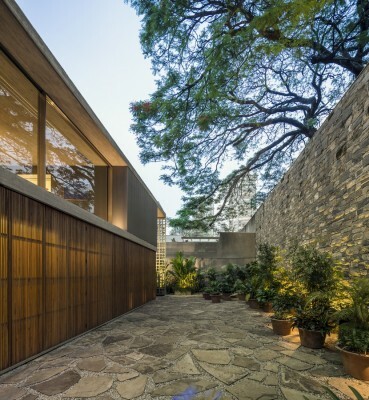 This solution was vastly used by Brazilian modernism, which consecrated the radical use of ramps as a way of vertical circulation while reaffirming the Corbusian precepts of architectural promenade. 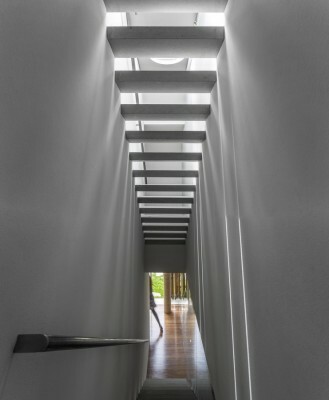 There is an intentional uncertainty about the character of this space: internal or external? 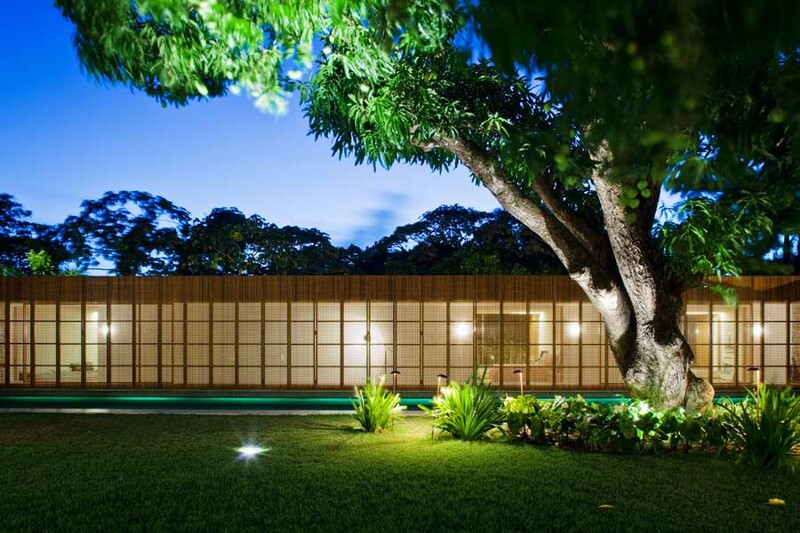 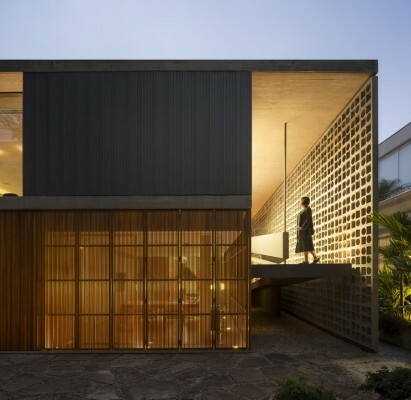 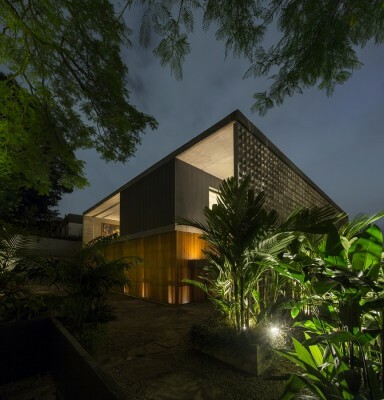 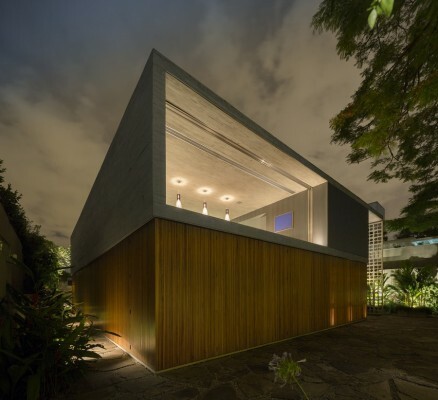 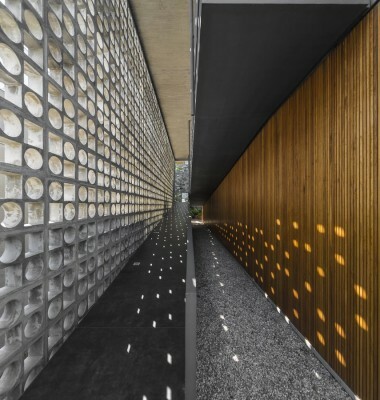 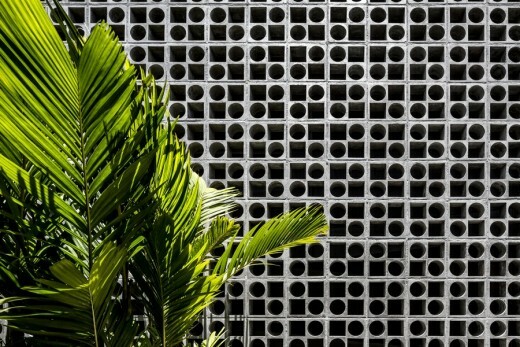 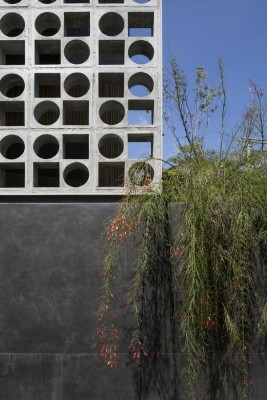 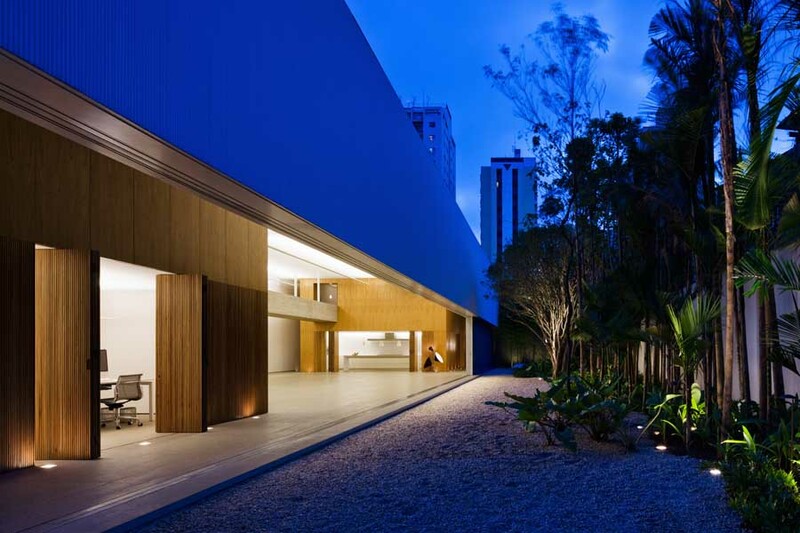 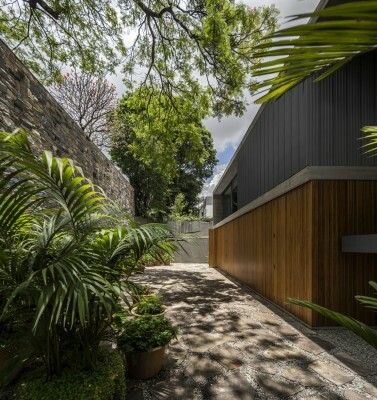 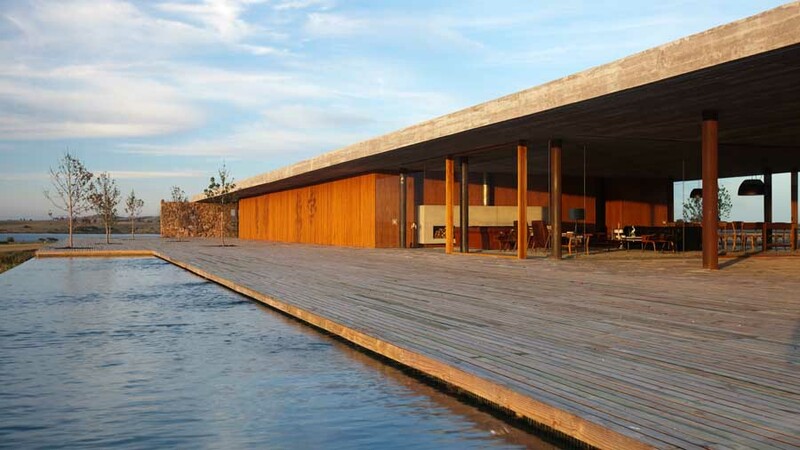 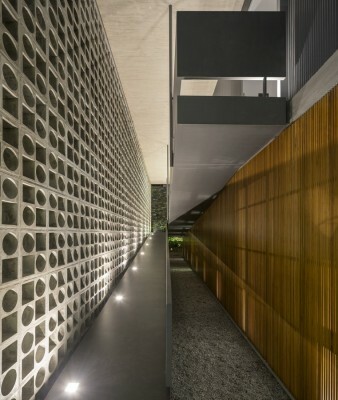 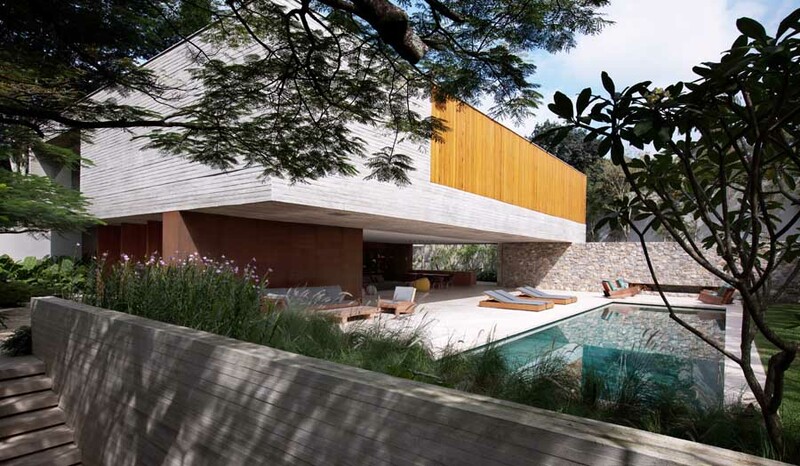 The reference to modernism lies also in the wall of hollowed-out elements, renowned from the 30’s in Brazil, as a solution to be reproduced on large scale, very appropriate for the tropical climate since it allows for shading without blocking of the fresh breeze. 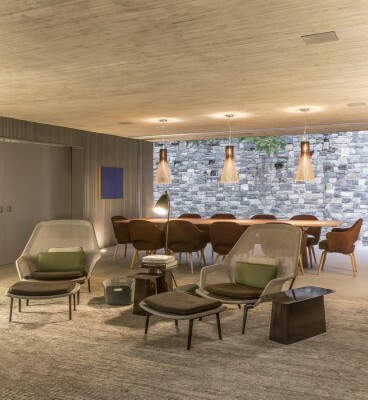 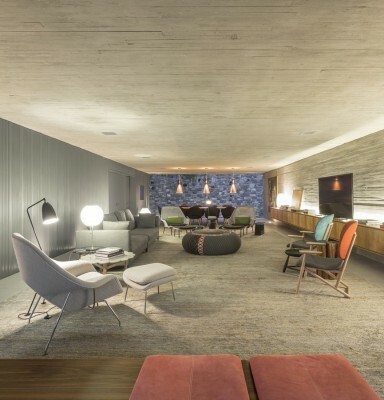 The social area of the house creates a sensation of coziness and comfort, in an open space, without any structural interference for the organization of the furniture layout. 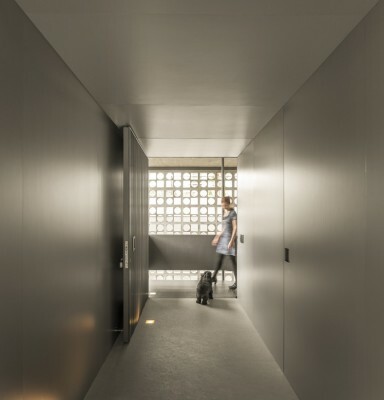 A 3.5m sliding door allows the kitchen to be completely integrated to the dining room. 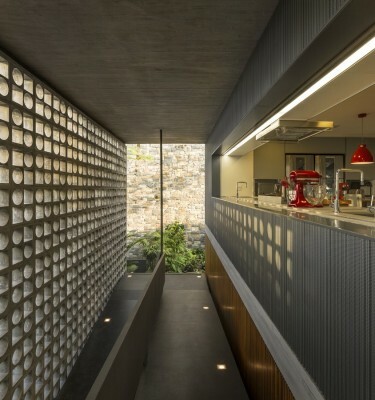 The counter used for food preparation is behind the window overlooking the ramp and receiving the ‘constructed’ light, filtered by the hollowed-out elements. 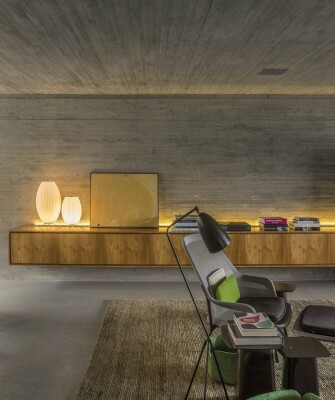 Thus, the kitchen becomes a lit-up space and a pleasant ambient. 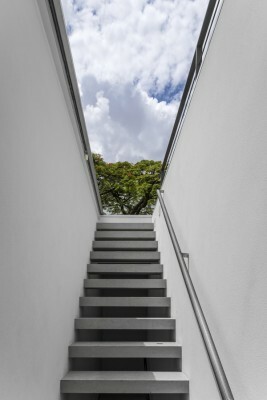 Different than the usual solution, the rooms are on the first floor – in direct relation to the garden – and can be also accessed internally via a staircase connected to the living room on the top floor. 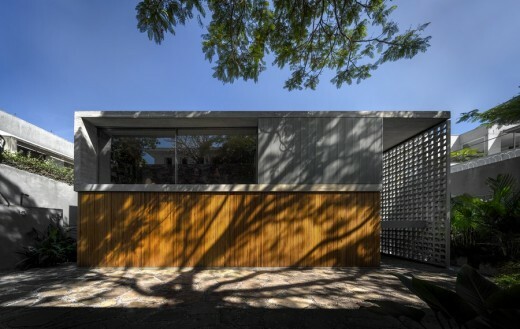 The wooden elements on this floor’s facade allow for the internal control of the sunlight and thus provides for a great thermal performance. 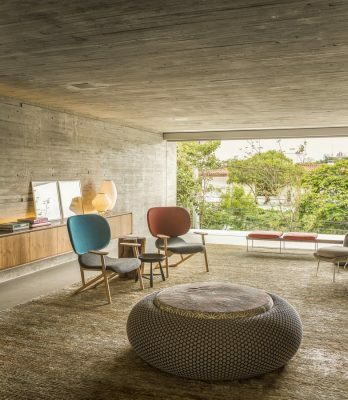 The use of ‘raw’ materials such as exposed concrete and wood give a lively aspect to residence, constantly changing over time. 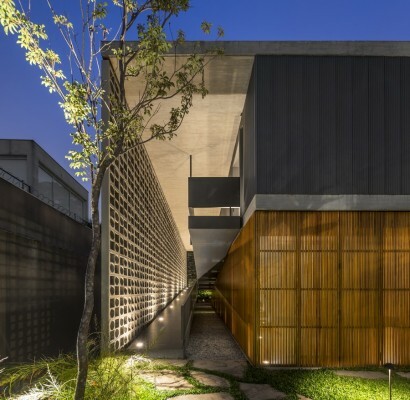 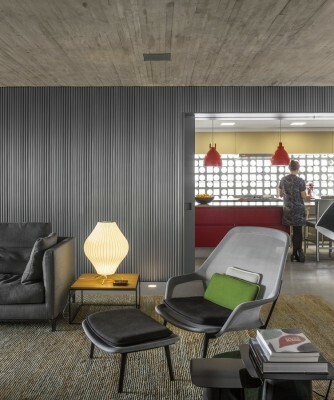 The architecture of B+B House sought to create a cozy, welcoming space, an intimate home as much for the daily lives of the residents as well as for the reception of friends in social gatherings.